All Ready for Paint: Each acrylic paint canvas in this pack is already primed with 8 oz. of acid-free acrylic titanium gesso. No prep necessary – you’re ready to start creating right away. Love it when the paint just glides across the canvas like silk? 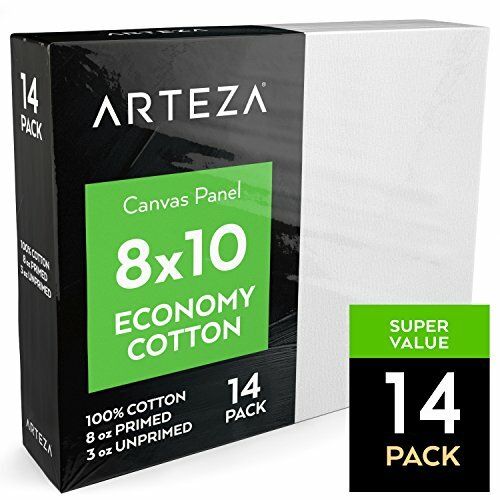 Then you’ll love this 14-pack of Arteza Canvas Panels. 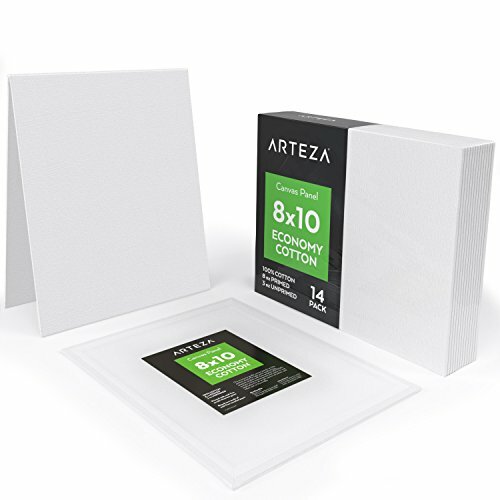 Their surface is made of 100% cotton – the preferred medium for all types of wet and dry media such as oil paints, acrylic, watercolors, and much more. No time to prime? These canvas boards are pre-primed and ready to go. Just take them out of the package, grab your paints and brushes, and let your imagination run wild. 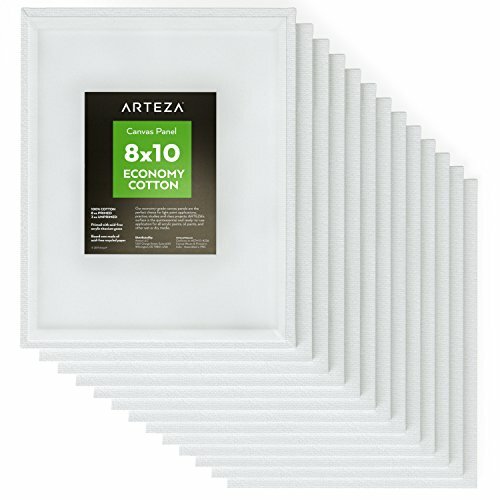 Arteza Canvas Panels are great for use at home, in the classroom, and in the studio. And with 14 panels in each package, you can afford to practice your skills without worrying about wasting another expensive canvas. Need to find the perfect gift for that creative person in your life? Whether they paint for fun or as a professional artist, our package of canvas boards will ignite their visionary spark. 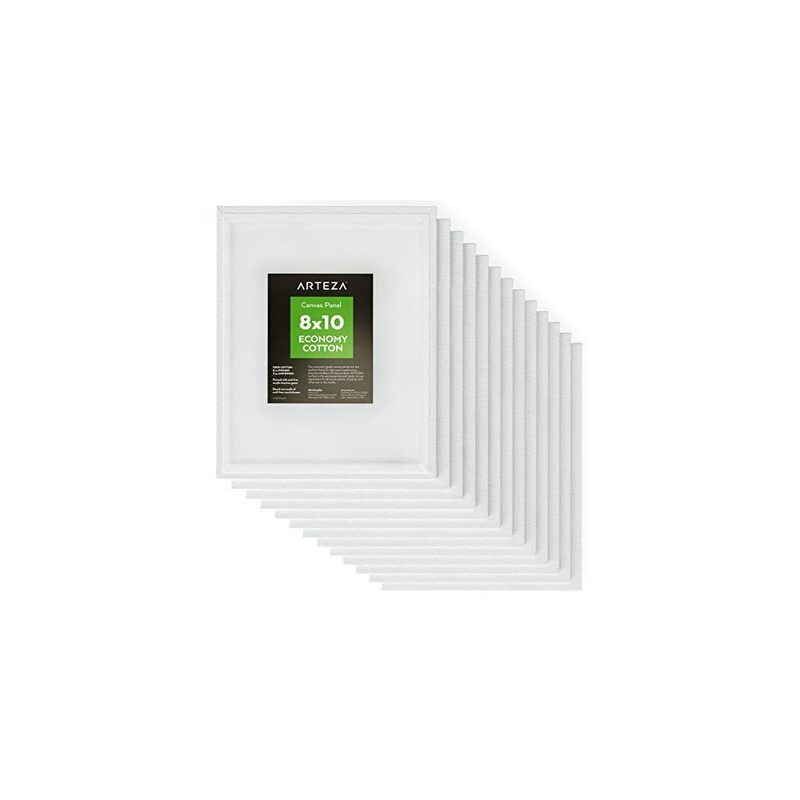 Thanks to high-quality Arteza Canvas Panels, you’re free to indulge your inner artist without stretching your budget. 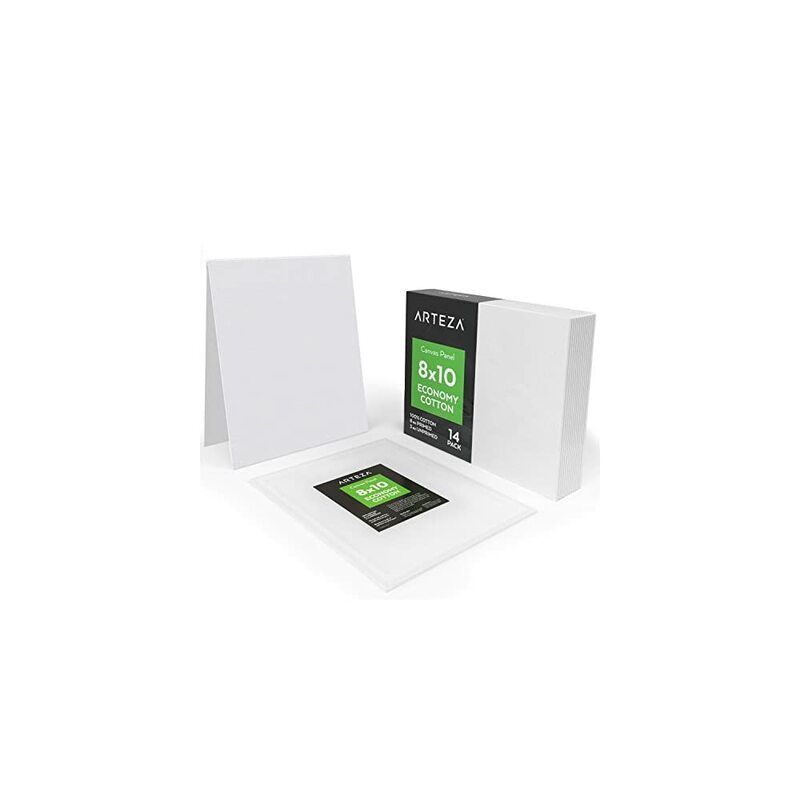 Perfect for oil painting and other types also, nice size for creating your masterpieces.